At nearly 11:00 pm on Saturday January 29, Correctional Officer Jayme Lee Biendl was tragically found and pronounced dead in the Monroe Correctional Facility’s chapel, located about 30 miles northeast of Seattle, after paramedics’ unsuccessful attempts at resuscitation. The 34-year-old officer had been assigned to prison chapel, and was discovered there after her radio and keys were noticed missing by workers at the Monroe Correctional Complex. According to authorities, she had been strangled by a microphone cord. An inmate, who was reported missing during a routine count at approximately 9:14 pm, was later found in the chapel lobby and told officers he planned to escape. The prisoner, who is serving a life sentence, is suspected in the murder of Correctional Officer Biendl, and remains in custody in a segregation unit. One of the 17 officer fatalities reported in the first month of the New Year, eight-year-veteran Officer Jayme Lee Biendl is the first from Washington killed on duty, and the first officer killed by strangulation, in 2011. She is the second officer, and first-ever female officer, to be strangled to death in Washington recorded law enforcement history, the first being in 1920. In an issued statement, Washington Gov. Chris Gregoire said she had asked Department of Corrections Secretary Eldon Vail to thoroughly review the incident and look at the safeguards in place at the Monroe complex. 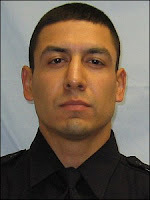 Corrections Officer Casimiro Pomales died in an automobile collision on Friday January 28, 2011. Officer Pomales worked for the Eastern Correctional Facility in Ulster County, NY. The 52-year-old officer and a fellow officer were transporting an inmate for medical treatment when a car swiped the prison van Officer Pomales was driving, causing it to flip. The two officers and the inmate were taken to a hospital where Officer Pomales succumbed to his injuries and was pronounced dead. The 22-year-veteran, also a U.S. Navy veteran, is survived by his wife and children. "For more than 20 years, Officer Pomales served the people of New York, and I extend my heartfelt condolences to his wife, Dorothea, and their children, as well as his friends, and coworkers at Eastern Correctional Facility," said Governor Andrew Cuomo. Officer Pomales is one of the 17 recorded fatalities in 2011, and one of the four traffic accident deaths to date. 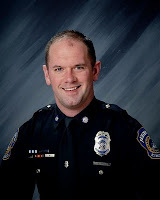 Three days after being shot during a traffic stop, Indianapolis (IN) Metropolitan Police Officer David Moore succumbed to his injuries on Wednesday January 26, 2011. At approximately 9:00 am on Sunday (January 23), Officer Moore was administering a weekend traffic stop, when a suspect began releasing unprovoked gunfire, “striking him twice in the face, in the thigh, and just missing his spinal cord,” according to doctors, who said an additional shot was stopped by his bullet-resistant vest. The alleged gunman, a 60-year-old ex-convict and parolee suspect was taken into custody. Rushed to a hospital, Officer Moore remained in a coma. The six-year veteran was taken off life support on Wednesday morning and died that day; his organs were donated after his death. At a vigil held before hundreds of mourners, Indianapolis (IN) Mayor Greg Ballard spoke fondly about Officer Moore, fighting back tears. “He was just a terrific man, the kind of guy we'd want to wear the uniform, and now he's gone." Mayor Ballard urged members of the community to support the Moore family, and said in the coming days the city would celebrate "someone who looked out for all of us." Officer Moore is the first officer fatality from Indiana in 2011. He is one of the 15 total fatalities recorded in the first month of the New Year, as well as one of the 11 gunfire-related officer deaths. Officer David Moore is survived by his father and mother — a retired and an active member of the Indianapolis (IN) Metropolitan Police force — respectively. Just four days after the cluster killing of two Miami-Dade (FL) law enforcement officers, a violent attack struck yet another Florida police force, tragically taking the lives of St. Petersburg (FL) Sergeant Tom Baitinger and Officer Jeffrey Yaslowitz. "On behalf of the City of Tampa, I extend my heartfelt condolences to the families of the officers, the larger family of the St. Petersburg Police Department, and to all the citizens of our sister city," Tampa Mayor Pam Iorio said. When officials arrived at the scene, the gunman was barricaded inside the attic of the home, and refused to appear despite pleading by officers. While Sergeant Baitinger remained on the main level to survey and to provide coverage, Officer Yaslowitz and a U.S. Marshal’s deputy entered the attic and were gunned down instantly. The suspect fired again from the attic below and struck Sergeant Baitinger. All three wounded lawmen were transported to a nearby hospital, where the Marshal’s deputy was treated for injuries and remained in stable condition. Regrettably, Sergeant Baitinger, 48, and Officer Yaslowitz, 39, succumbed to their fatal gunshot wounds. The alleged gunman died following the shootout. The St. Petersburg fatalities are the fourth and fifth for Florida — leading all 50 states in officer deaths, followed by Texas and Ohio — in the first month of 2011. Sergeant Baitinger and Officer Yaslowitz are two of the 14 total fatalities and join the list of officers killed by gunfire, which has now reached 11 thus far in 2011. These lawmen are also the ninth and tenth St. Petersburg (FL) officers killed by gunfire in the department’s recorded history. The 15-year veteran Sergeant Baitinger is survived by his wife. Officer Yaslowitz spent 12 years on the force and is survived by his wife and three children. Over three decades ago, Columbus (OH) Division of Police Officer Tom Hayes suffered a gunshot wound during an attempt to arrest two teens on a curfew violation on December 18, 1979. At approximately 2:25 am, Officer Hayes approached the teens to take them into custody, when a struggle transpired. During the altercation, the suspects removed a handgun and shot 30-year-old Officer Hayes in the back, paralyzing him from the waist down. Seven-year-veteran Officer Hayes suffered serious health issues the remainder of his life as a result of the shooting; one of his legs was amputated six years ago. After the incident, he continued to work as a civilian sketch artist for the Columbus (OH) Division of Police, until 31 years later, he finally succumbed to his injuries at the age of 61. RECENTLY FALLEN: Sumter (SC) Corporal Charles Richard Nesbitt, Jr.
On Friday January 21, 2011, Sumter (SC) Corporal Charles Nesbitt and Master Patrolman James Cox were returning to Sumter from a prisoner transport to the South Carolina Department of Juvenile Justice. At approximately 3:00 pm, their patrol car collided head-on with an SUV on Highway 521. Critically injured, the officers were transported to a nearby hospital where Master Patrolman Cox was treated for his injuries. Sadly, 39-year-old Corporal Nesbitt succumbed to his wounds, and was pronounced dead approximately an hour after the collision. The driver of the SUV involved in the accident was injured and transported to a hospital for treatment; his medical status is still unknown. To date in 2011, there are 15 law enforcement officer fatalities, three of which resulted from traffic incidents, including Corporal Nesbitt. Corporal Charles Nesbitt, Jr. had served with the Sumter (SC) Police Department for 10 years, and is the first officer to die on duty in Sumter police force history. “He was very close with his wife and parents,” said Sumter (SC) Deputy Chief Russell Roark. “He was very dedicated to the community and someone you could count on,” he said. The Miami-Dade (FL) Police Department tragically lost two peace officers on Thursday January 20, 2011 to violent gunfire sparked by a hunted fugitive in a Miami home. At approximately 11:00 am, Officer Roger Castillo and Officer Amanda Haworth, 44, joined a team of agents to serve a first-degree murder warrant for a repeat offender wanted for an October 2010 slaying. Upon entering the residence, the 22-year-old suspect—Johnny Simms—allegedly released shots repeatedly at the warrants division force of agents from point-blank range, lethally striking two and injuring one, before Officer Oscar Placencia returned a fatal shot at the suspect. Twenty-one-year Miami-Dade (FL) veteran Officer Castillo was slain at the crime scene, while fellow 23-year veteran Officer Amanda Haworth was transported to a hospital where she died during surgery. According to authorities, both agents were wearing bullet-proof armor and police identification. The vicious ambush that took two law enforcement members was the first cluster killing in decades for Miami-Dade (FL). “Two angels from our police department were murdered today and I’m angry about it,” Miami-Dade (FL) Police Director James Loftus said during a moving press conference. Out of 10 total fatalities in the first month of 2011, three are from Florida. To date, gunfire-related fatalities account for seven deaths, including two from Miami-Dade (FL): Officers Castillo and Haworth. In the recorded history of Miami-Dade (FL) law enforcement, Officer Haworth is the third female officer mortally shot on duty. She is survived by her teenage son. “Today, our community lost two more heroes. Our hearts ache for their families and their loved ones who are dealing with incomprehensible grief, loss, and shock,” said John Rivera, President of the Miami Chapter of the Police Benevolent Association. “These two officers were loving family members, friends and our neighbors. They wanted to serve their community and make it a better, safer place for all of us,” he said. The first-ever Livonia (MI) Police Officer killed by gunfire on duty—Officer Larry Nehasil—was fatally wounded by a burglary suspect during a shootout on Monday January 17, 2011 in Oakland County, Michigan. At approximately 6:00 pm, Officer Nehasil was surveying an area ten miles north-northwest of Livonia, when he witnessed two suspects allegedly wanted for several burglaries attempting to break into a house. When police tried to detain the suspects, gunfire erupted, striking 48-year-old Officer Nehasil. 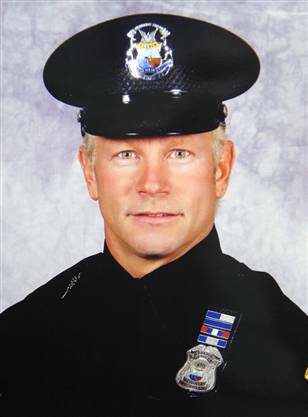 Terribly injured, the 20-year Livonia (MI) Police veteran managed to return fire and kill one of the gunmen. The remaining suspect was arrested by officials and taken into custody. In addition to his two decades spent with the Livonia (MI) P.D., Officer Nehasil also served the Wayne County (MI) Sheriff’s Office. “He stood in the gap to protect others from harm and for that Officer Nehasil will always be remembered as a hero,” said Wayne County Sheriff Benny Napoleon. Officer Nehasil is the third Livonia (MI) officer fatality in history. He is one of the seven gunfire-related fatalities to date in the first month of the New Year. Three days after he collapsed during a physical agility test for his agency’s SWAT team tryouts, Davie (FL) Police Officer Rogerio Morales succumbed to his injuries on Thursday January 13, 2011. According to officials, autopsy results indicating an exact cause of death have not yet been released, but the 27-year-old officer, described as “very physically fit,” is thought to have had a fatal heart attack. After his sudden collapse, a paramedic administered first aid at the scene, and Officer Morales was taken to a hospital for treatment. He remained in a coma for three days until his death. Officer Rogerio Morales is survived by his wife, whose moving words at her husband’s service touched hundreds of mourners in attendance. "I still remember our routine each night. I kissed you good night and tapped you on the stomach to make sure you were wearing your vest," she said. "Now I stand in our bedroom alone and hear nothing but silence. I pray to God and hope to understand one day why you are gone."